Hofmann (HFM) provided plate heat exchangers for the Renesas Semiconductor is mainly used for plant HVAC, production process chain and water cooling. Renesas Semiconductor (Beijing) Co., Ltd. (RSB), located in Shangdi Information Industry Base, Haidian District, Beijing, covers an area of about 150,000 square meters. Since its predecessor established in 1996, Mitsubishi Stone Integrated Circuit Co., Ltd. (MSSC), after more than 15 years extended, has now developed into the largest overseas semiconductor production stronghold with a capacity of up to 92 million / month of Renesas Electronics Co., Ltd.
Hofmann (HFM) as a heat exchanger industry's well-known brand also participates in the company's production and construction. The first phase of the semiconductor clean and constant temperature and humidity plant selected Hofmann (HFM) customized heat exchanger solution and plate heat exchanger. With accumulated rich experience in the electronic semiconductor industry, create a safe and comfortable heat transfer space. Renesas Semiconductor (Beijing) Co., Ltd. (RSB) with a total registered capital of 90.44 million US dollars, mainly engaged in semiconductor products manufacturing - MCU, MSIG, SCR-LM, SRAM. The pursuit of "high quality, short duration, low cost" is the company's consistent business philosophy. Continuing to carry out the improvement and innovation activities is our long-term business core. With its own high-tech, high-quality semiconductor products and customer-oriented service concept, and with the second factory officially put into operation in October 2010, the company has ushered in new development opportunities and new challenges. In the future, the company will continue to build and improve the high efficiency, high quality, high yield, low cost production line with low price MCU production as the core, strengthen cooperation with other companies including Renesas Electronics, to win the market through quality and price. Include: one set of steam heat exchanger unit in the heat exchanger unit, one set of steam condensate heat exchanger unit, one set of closed condensate recovery unit and one plate heat exchanger in chilled water system. 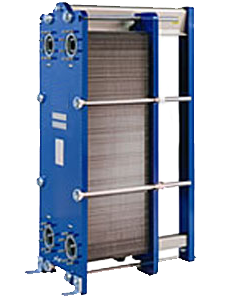 The steam-water heat exchanger unit consists of two plate heat exchangers and one variable frequency hot water pump. The steam condensate heat exchanger unit includes a plate heat exchanger and a hot water circulating pump. The closed condensate recovery unit contains a closed condensation water recovery and two heat-resistant water pumps. These devices effectively ensure the continued production; efficient heat transfer equipments have brought high economic benefits. A semiconductor clean and constant temperature and humidity plant selected Hofmann (HFM) customized heat exchange solution and plate heat exchangers. With Hofmann (HFM) accumulated rich experience in the electronic semiconductor industry, create a safe and comfortable heat transfer space. Hofmann (HFM) has provided heat exchange services for a number of world-renowned electronics and semiconductor manufacturers. Relying on its rich plate-types, it is to create on-demand production process, workshop, building and other heat transfer services for the major electronics and semiconductor manufacturers.